The aim of this module is to enable prospective teachers to foster an appreciative classroom atmosphere, create a good and shared learning environment, and develop teaching approaches in accordance to the different achievement levels of their pupils. 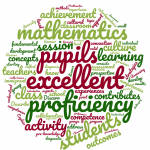 The module will prepare prospective teachers to work with immigrant pupils of secondary school age and above – all of them having widely divergent learning backgrounds in mathematics. On the one hand, there are those students who did not learn basic arithmetic operations or left school with only primary school knowledge. On the other hand, there are those pupils who may know mathematics on a level far ahead of the local or national curriculum. The public rhetoric about immigrant pupils often follows a deficiency perspective. But in this module we will not only consider possible deficits, but will also take a strength-oriented perspective – and thus prepare prospective teachers for immigrant pupils who excel the local or national curriculum in parts (or entirely) (Clarkson (2006), Löwing (2000), OECD (2006), Zevenberger (2000)). Understand the need of collaboration between teachers of different age groups as well as collaboration with language teachers – in order to get support in working with pupils whose maths/science or language proficiencies are very different from the average level in class.